Mara Hoffman Receives REPREVE® Champions of Sustainability Award at NYFW: The Shows | Unifi, Inc.
GREENSBORO, N.C., Feb. 11, 2019 /PRNewswire/ -- Tonight, Mara Hoffman will receive the REPREVE® Champions of Sustainability Leading the Change Award at an exclusive New York Fashion Week (NYFW) reception hosted by global textile solutions provider Unifi, Inc. (NYSE: UFI). 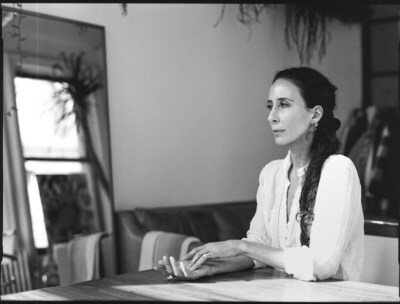 The Leading the Change Award recognizes Mara Hoffman's longtime commitment to reducing environmental impact through conscious fashion. The brand will be recognized as a sustainability advocate and for its part in helping Unifi recycle 14 billion bottles, by using REPREVE. Many of Mara Hoffman's bestselling swimwear pieces are made with REPREVE, which helps divert bottles from ending up on our land or in our oceans. The brand hopes to make consumers more mindful and to evolve the relationship society has with clothing. Mara Hoffman is known for its unique and focused commitment to sustainability. Realizing the impact the fashion industry has on the environment, the brand has implemented a strategy to drive effective change since 2015 with initiatives ranging from shipping its swimwear in compostable packaging, incorporating recycled, organic and responsibly sourced fabrics and researching ways to lessen the brand's environmental footprint. "Mara Hoffman exemplifies integrating sustainability and innovation for the good of tomorrow," said Helen Sahi, Vice President of Global Corporate Sustainability, Unifi. "The Mara Hoffman brand perfectly represents what the fashion industry can achieve when it pairs visionary leadership with sustainable materials that perform at the highest level with reduced environmental impact. We congratulate Mara Hoffman and applaud their continued commitment to be an advocate, partner and ultimately, a leader in this effort." The brand introduced REPREVE fiber into its swimwear, beginning with the Resort 2017 collection, as an additional part of the brand's commitment to sustainable fashion. The process to make REPREVE transforms recycled plastic bottles into sustainable, performance fiber, offsetting the use of new petroleum, emitting fewer greenhouse gases and conserving water and energy in the process. Mara Hoffman currently uses REPREVE in all of its textured swimwear. Mara Hoffman continually challenges its team to implement sustainable processes and production in order to set new standards in achieving sustainability. The brand has attributed partnering with organizations as a key pillar in meeting these goals. "It's encouraging to know sustainable practices are being celebrated by our industry partners," said Mara Hoffman, President and Creative Director. "When we began our sustainable journey four years ago, we did so with the goal to generate awareness about the industry's impact on the planet and subsequently to design and manufacture our garments with greater care. We're honored to be receiving this award, which continues to drive awareness, and look forward to continued progress in the apparel industry." The Leading the Change Award is part of REPREVE's second annual Champions of Sustainability Awards, which recognized a total of 68 brand, retail and textile partners. Unifi created the REPREVE Champions of Sustainability Awards to recognize the company's brand and textile partners that have achieved plastic bottle recycling milestones by using REPREVE performance fibers. By creating these awards, Unifi hopes to inspire designers, customers and consumers to continue to invest in sustainability. "Together, we can make everyday life better by transforming recycled plastic bottles into the products consumers use every day," added Sahi. "Together, we can make a better today for the good of tomorrow." Unifi, Inc. (NYSE:UFI) is a global textile solutions provider and one of the world's leading innovators in manufacturing synthetic and recycled performance fibers. Through REPREVE®, one of Unifi's proprietary technologies and the global leader in branded recycled performance fibers, Unifi has transformed more than 14 billion plastic bottles into recycled fiber for new apparel, footwear, home goods and other consumer products. The Company's proprietary PROFIBER™ technologies offer increased performance, comfort and style advantages, enabling customers to develop products that perform, look and feel better. Unifi continually innovates technologies to meet consumer needs in moisture management, thermal regulation, antimicrobial, UV protection, stretch, water resistance and enhanced softness. Unifi collaborates with many of the world's most influential brands in the sports apparel, fashion, home, automotive and other industries. For news updates from Unifi, visit https://unifi.com/news or follow Unifi on Twitter @UnifiSolutions. Made by Unifi, Inc. (NYSE:UFI), REPREVE® is the global leader in branded recycled performance fibers, transforming more than 14 billion plastic bottles into recycled fiber for new clothing, shoes, home goods and other consumer products. REPREVE is the earth-friendly solution to making consumers' favorite brands more environmentally responsible. Found in products from many of the world's leading brands, REPREVE fibers can also be enhanced with Unifi's proprietary technologies for increased performance and comfort. For more information about REPREVE, visit www.repreve.com, and connect with REPREVE on Facebook, Twitter and Instagram. REPREVE® is a trademark of Unifi, Inc.
Mara Hoffman founded her label in 2000 after graduating from Parsons School of Design in New York City. As President and Creative Director of her privately owned company, Hoffman hopes to foster mindful consumption habits and encourages consumers to reevaluate the relationship society has with clothing. The brand's approach centers on sustainable materials, processes, and production in order to improve and extend each garment's life. Hoffman commits to presenting collections devoted to color, each inspired by and in celebration of women.